Dr. Hadi Rassael of Millennium Medical has helped many patients throughout the Washington DC metro area achieve a full head of hair. Using the latest hair restoration surgery techniques such as follicular unit transplantation (FUT), natural-looking results are possible. It's important to Dr. Rassael that patients understand all facets of a surgical procedure before they decide it's for them. With that in mind, we want to use this blog post to look at the recovery process that follows FUT. While this is just a broad overview of some recovery concerns, you'll note that the process is generally straightforward. Immediately after an FUT procedure, patients will usually feel some discomfort and grogginess, which is normal and usually mild. Because of the nature of the surgery, the soreness and discomfort experienced early on is generally manageable with the use of over-the-counter pain relievers. Patients may notice swelling of the scalp and forehead area in the first day or so after surgery. This is normal and will generally diminish after a week. For the first few nights after the hair restorations surgery, patients are asked to rest with their head elevated on pillows. This is better for the healing process than simply lying flat on your back. Lying flat on your back will put pressure on the donor site on the back of the head, which can lead to discomfort and longer healing times. The morning after the FUT procedure, patients will be instructed to shampoo their scalp thoroughly yet gently as directed and using an approved/recommended shampoo. This helps ensure a clean and bacteria-free scalp for the early part of the healing process. During the rest of the first week of FUT recovery, patients will generally be asked to shower twice a day and shampoo gently in order to keep their scalp clean and clear of bacteria that may cause infections. When outdoors, patients should wear a hat for roughly the first two weeks. This protects the scalp and the donor area from the harmful effects of the sun. After two weeks, patients can have their scalps exposed to the sun but should use a strong sunblock. Be sure to check with us to determine the ideal SPF. Alcohol and smoking can have a negative effect on healing, prolonging the recovery time and making patients more susceptible to infection and other complications. Patients should avoid drinking and smoking before surgery and after surgery based on their surgeon's instructions to ensure complication-free healing. Patients should focus on rest for the first days after FUT. Heavy exercise and other kinds of strenuous physical activity should be avoided for at least two weeks if not more. Be sure to check with your hair restoration surgeon to find out when you can resume these kinds of vigorous physical activities. Multiple follow-up visits are scheduled after your FUT in order to ensure you are healing properly. Be sure to go to all scheduled visits and to express any concerns that you may have about your healing experience. Patients are also encouraged to remain in touch with the practice during the recovery process and express any urgent concerns as they arise so that they may be addressed as soon as possible. 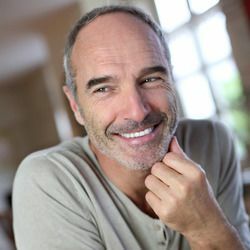 For more information about hair transplant surgery and your many options available for reversing the effects of balding, be sure to contact our hair restoration center today. When you visit with Dr. Hadi Rassael at Millennium Medical, you will receive all the information that you need to make an informed choice about treatment.